The rise of IoT is driving increasing concern about the threat of cyber attacks at home and work. This trend has sparked a security concern across the globe with companies and consumers as smart devices like baby monitors, smart speakers, smart watches or thermostats potentially provide a gateway into users’ home or workplace networks. 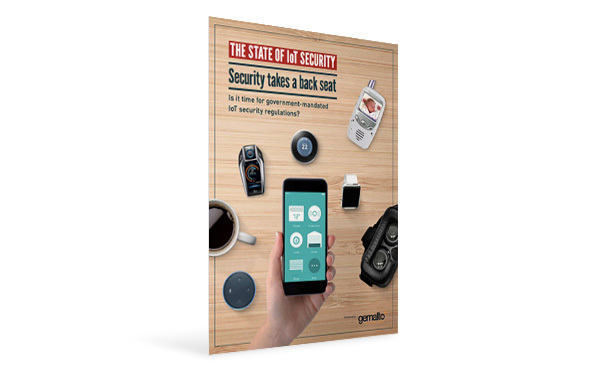 To learn more, get your copy of the State of IoT Security report today! © 2018 Gemalto Inc. All rights reserved. Gemalto, the Gemalto logo, are trademarks and service marks of Gemalto and are registered in certain countries.